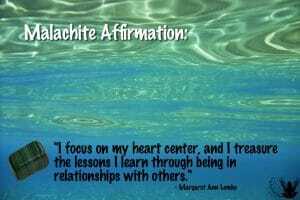 Affirmation: I focus on my heart center. I treasure the lessons I learn through being in relationships with others. I find balance within. I feel love for myself and all beings. Love swirls into my life. I recognize repetitive patterns. I choose patterns of love, compassion, and kindness. Spiritual uses: Carrying the vibrations of the heart, malachite’s swirling shades of green represent the lessons that the heart must go through during its lifetime, effectuating healing not only in this lifetime but also in past lives. 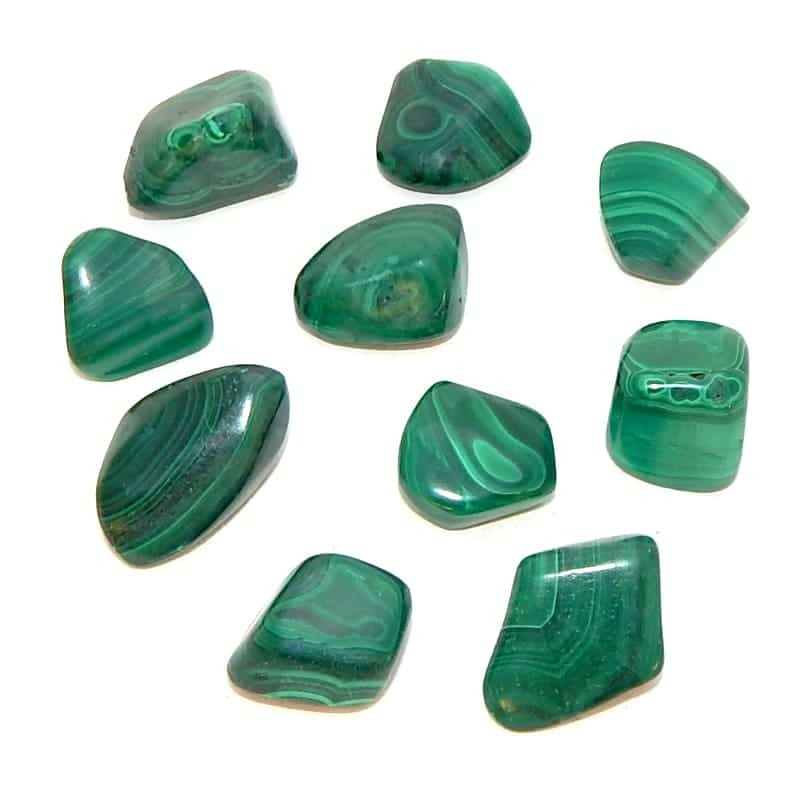 Mental uses: Malachite can help you get clear when you have many thoughts going round and round in your head. 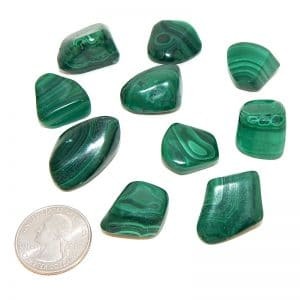 Emotional uses: Malachite is a stone that helps you get to the heart of a matter. 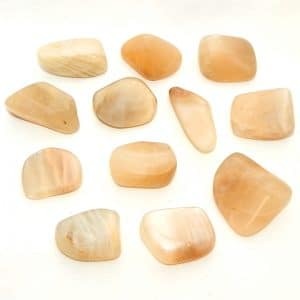 This stone reminds you that as patterns are repeated in relationships again and again that there is a lesson to be learned. 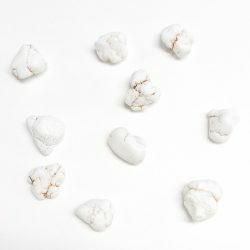 Physical uses: Malachite helps you connect with the sweetness of life.